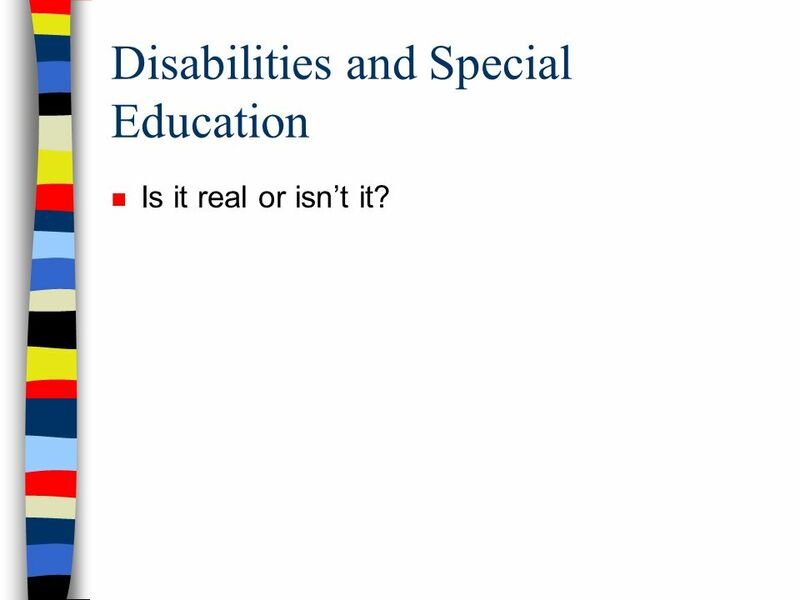 Is it real or isn’t it? 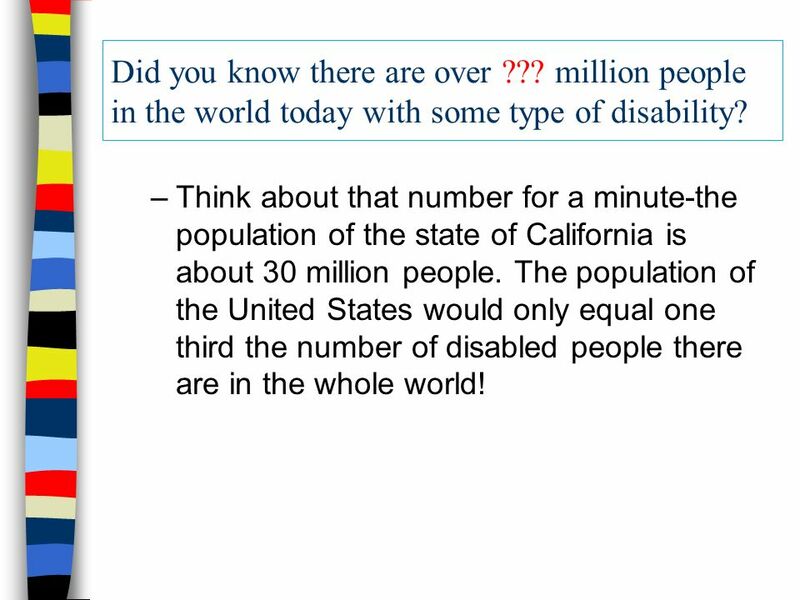 Some disabilities are visible, such as a person in a wheelchair. 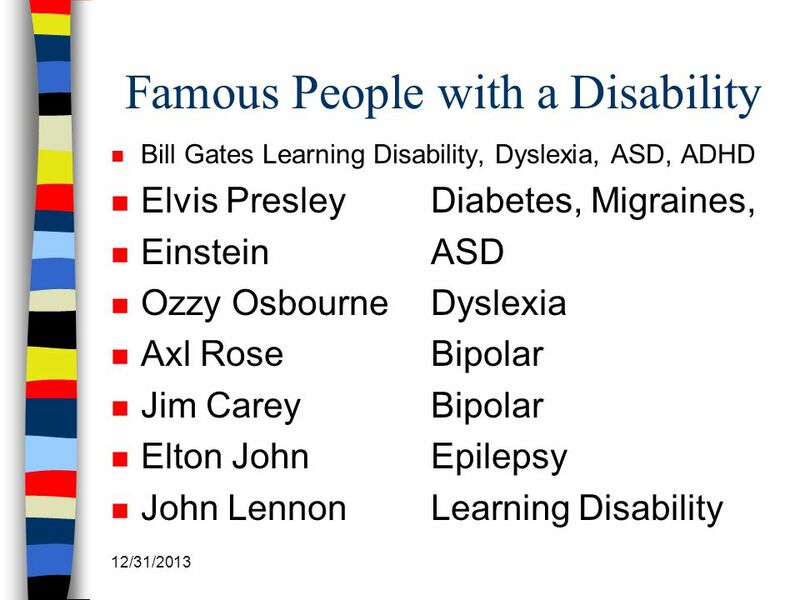 Other disabilities are invisible, like an individual with a learning disability. 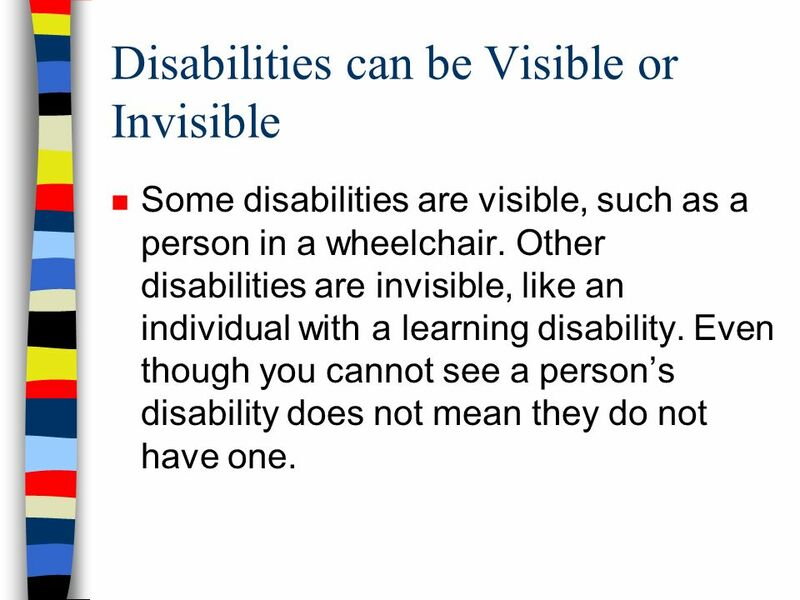 Even though you cannot see a person’s disability does not mean they do not have one. 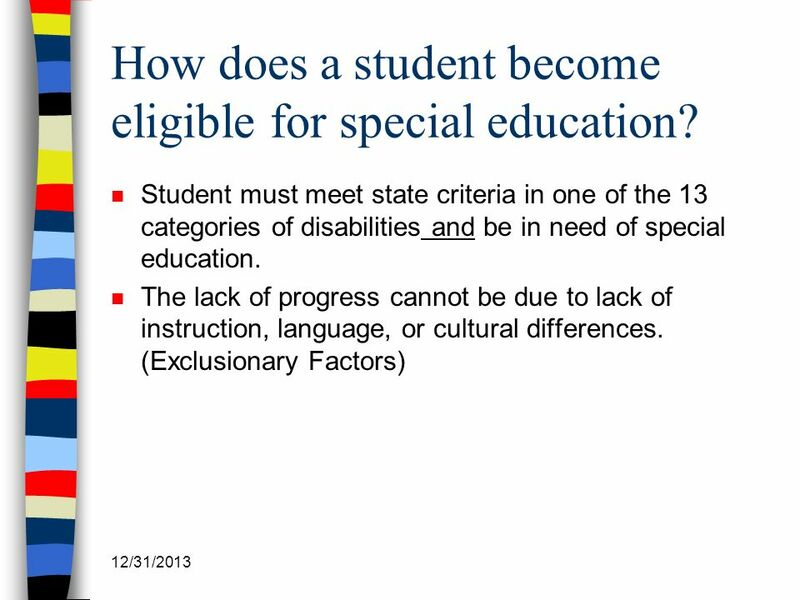 17 How does a student become eligible for special education? 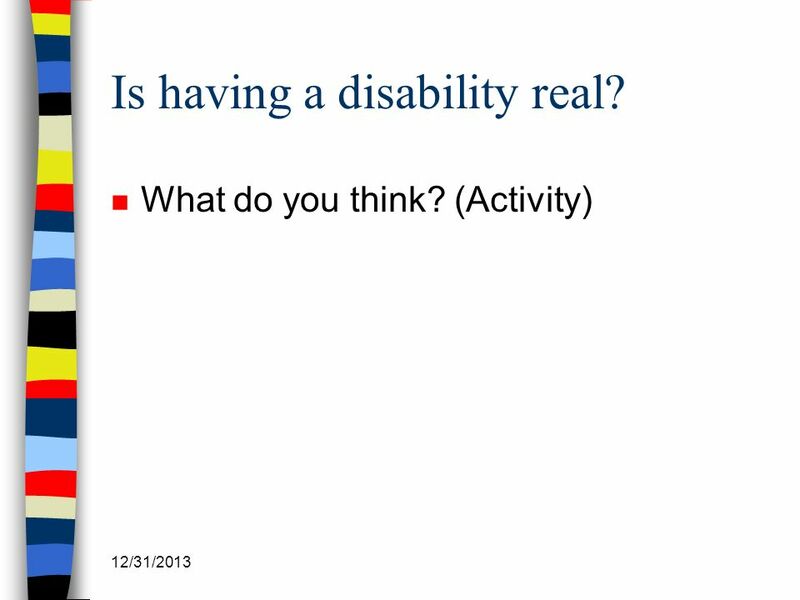 25 Is having a disability real? 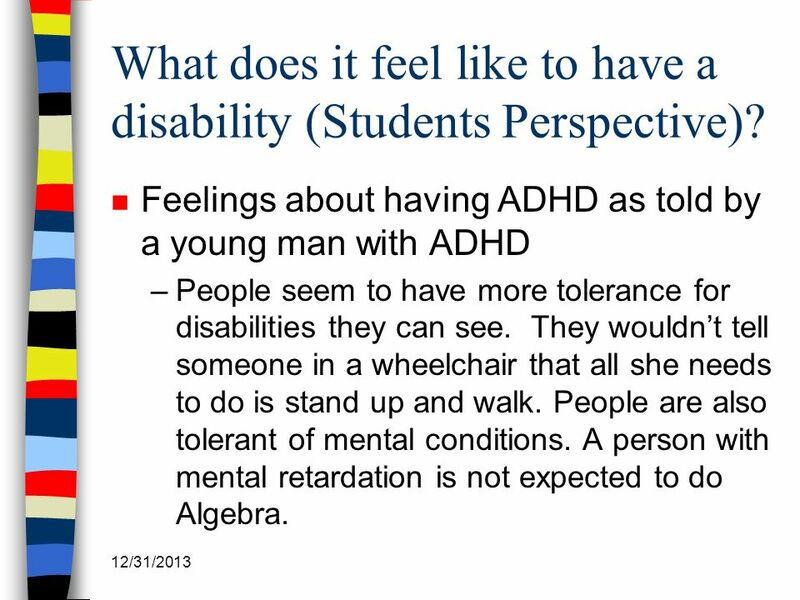 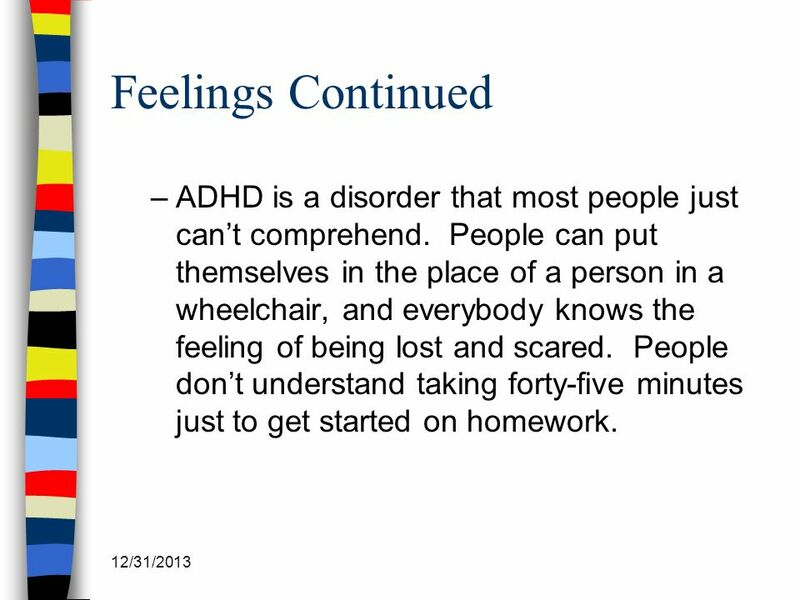 26 What does it feel like to have a disability (Students Perspective)? 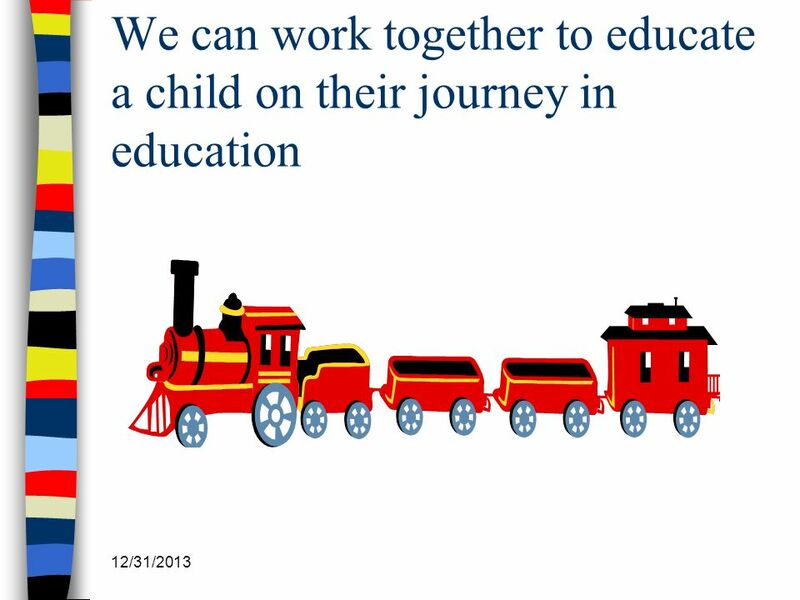 35 It is my prayer that you will be an integral part of each child’s journey through education. 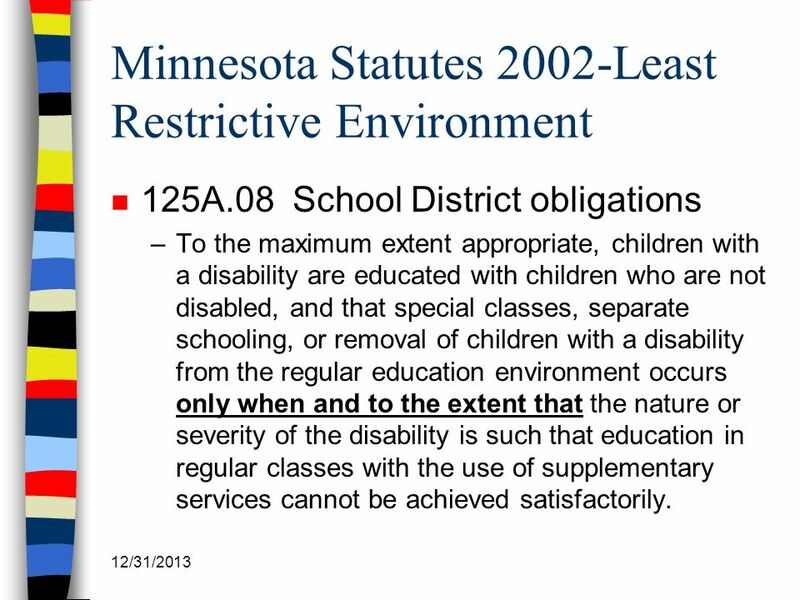 Download ppt "Disabilities and Special Education"
Use the date (six digit number – 00/00/00) for when services are to begin. 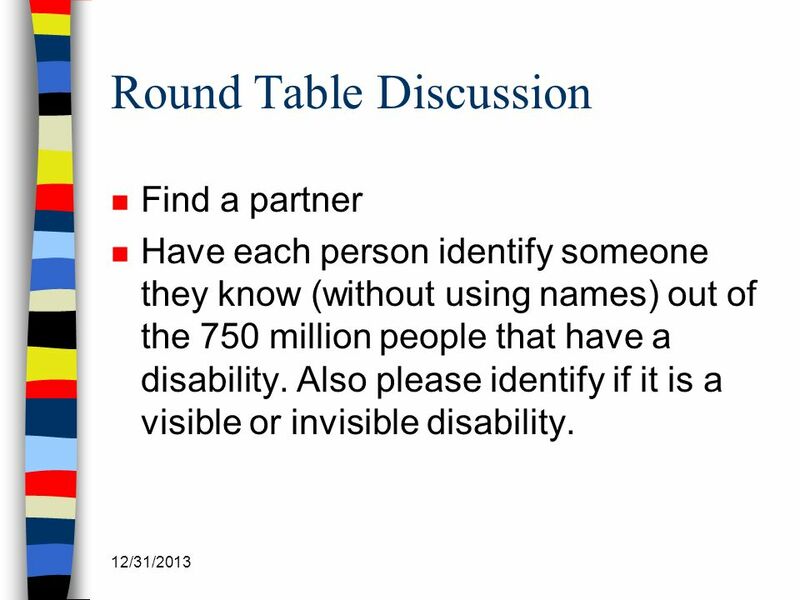 This should be implemented as soon as possible following the meeting – but. 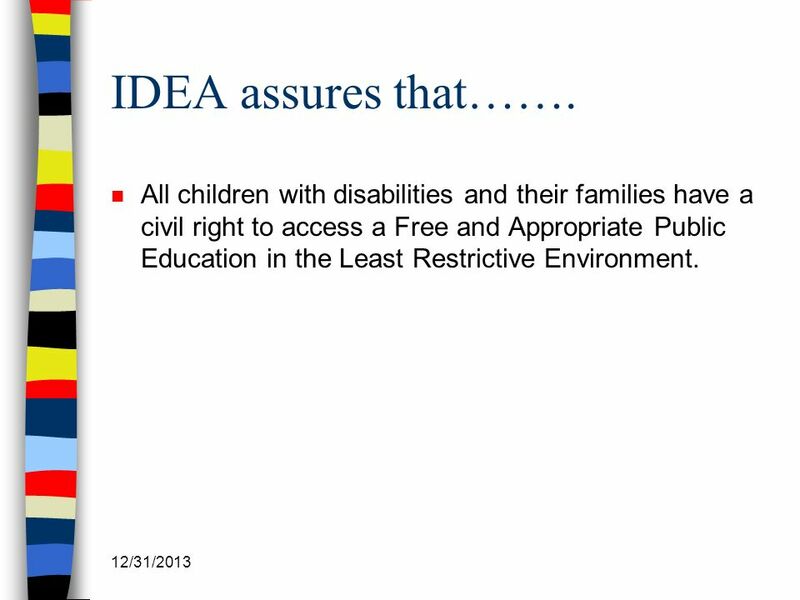 Dr. Joan Robbins Director of Special Education. 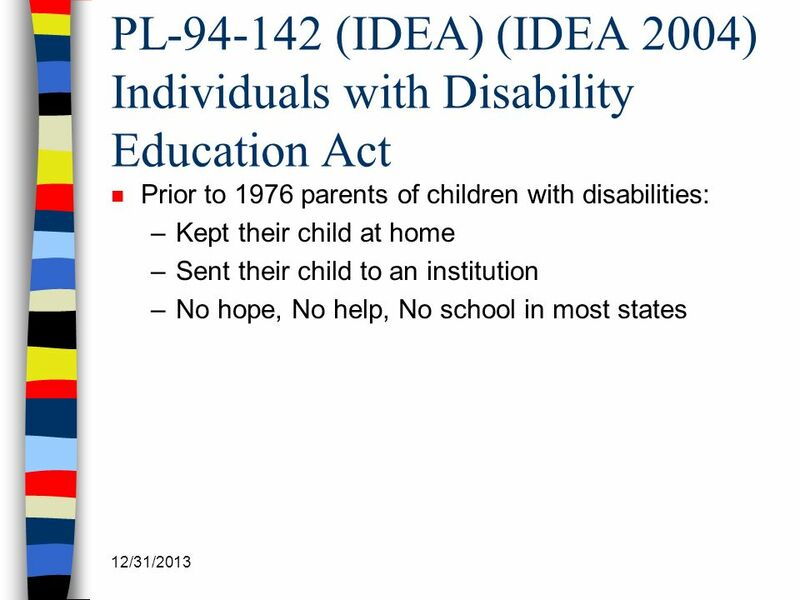 IDEA v. Section 504 Similar vocabulary Can be confusing Some children have needs but do not have a disability. 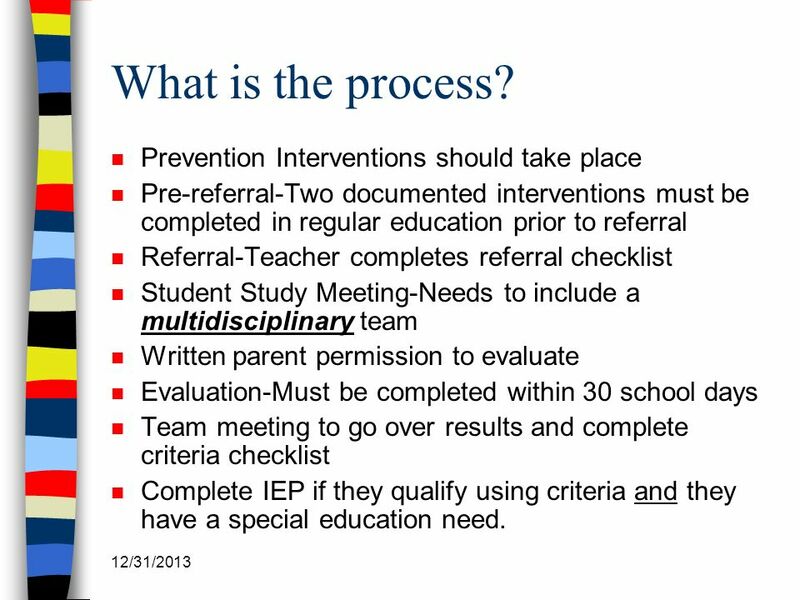 THE IEP PROCESS Cassie A. Newson. 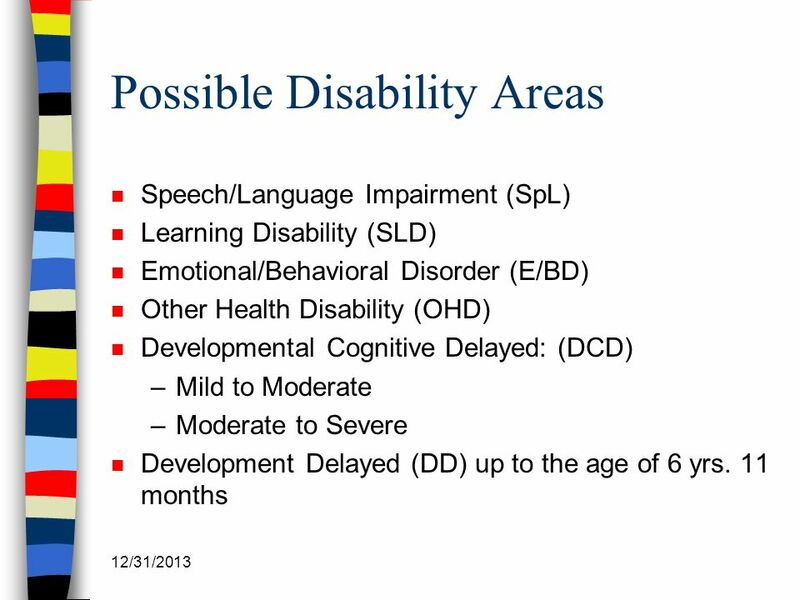 Purpose of Initial Evaluation  To see if the child is a “child with a disability,” as defined by IDEA  To gather information. 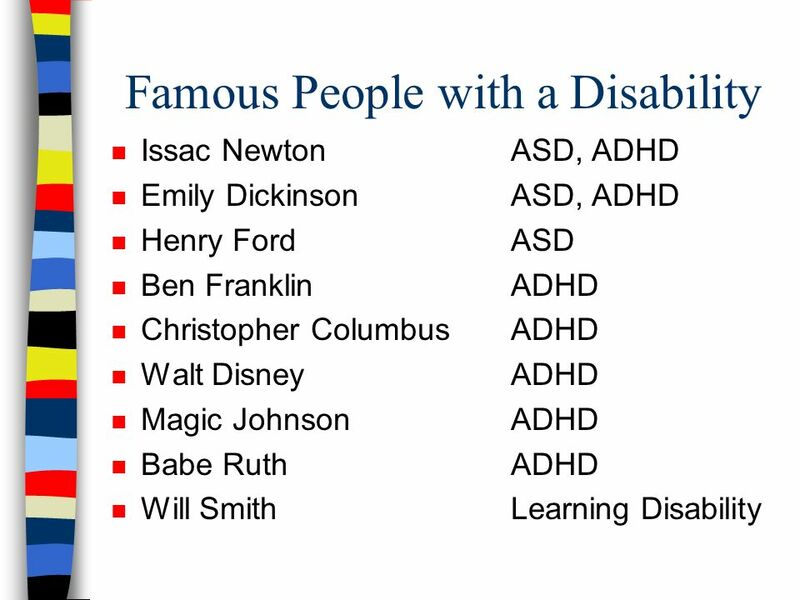 EXCEPTIONAL CHILDREN. 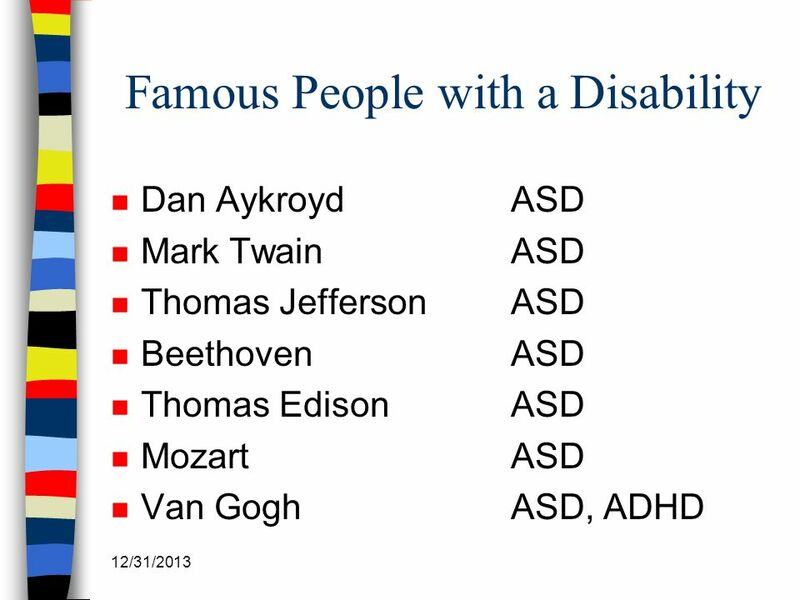 Who Are Identified As Exceptional? 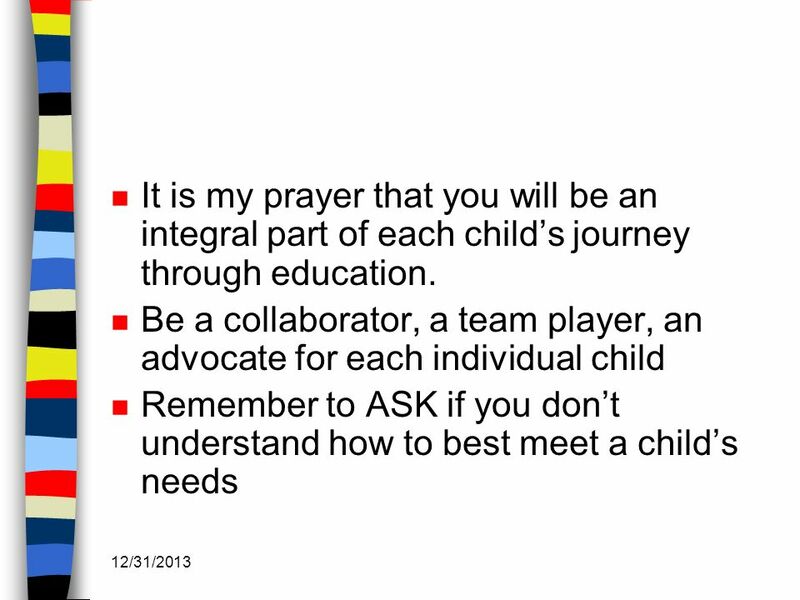 6.5 million children in the U.S. 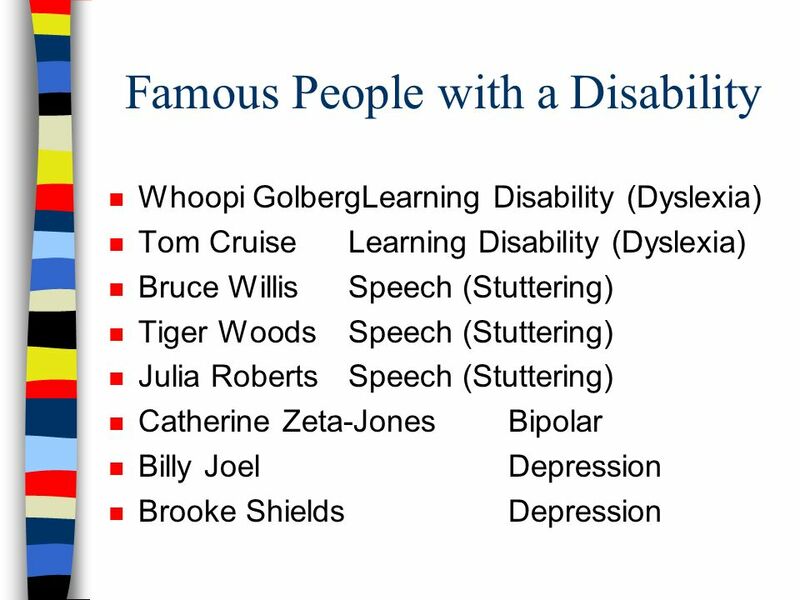 Categories include:   Learning disabled   Communication. 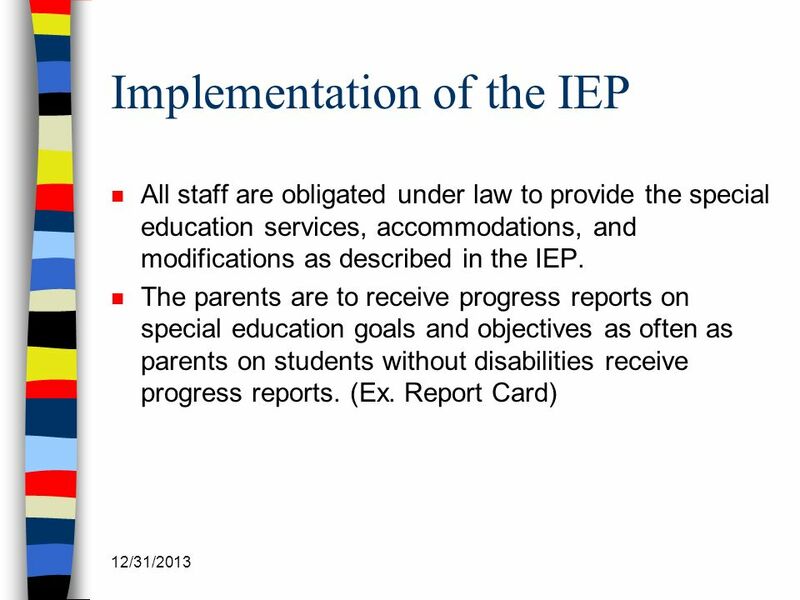 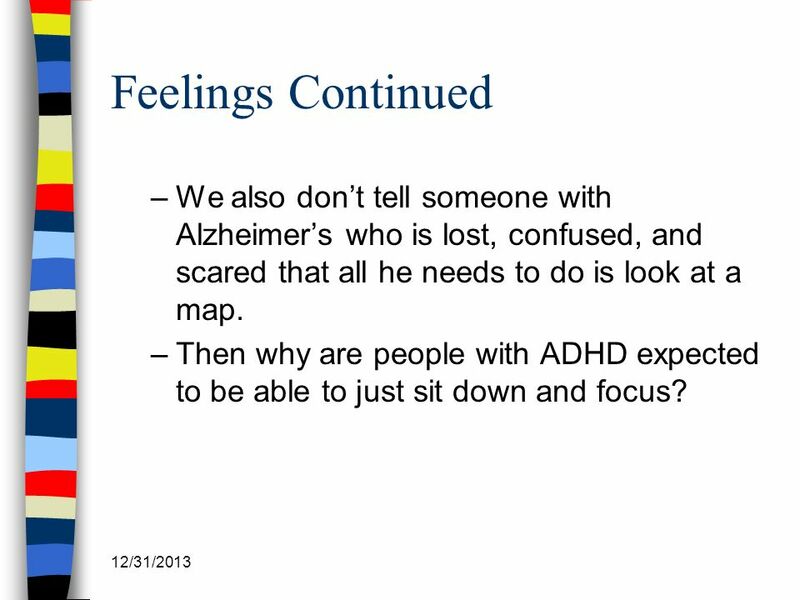 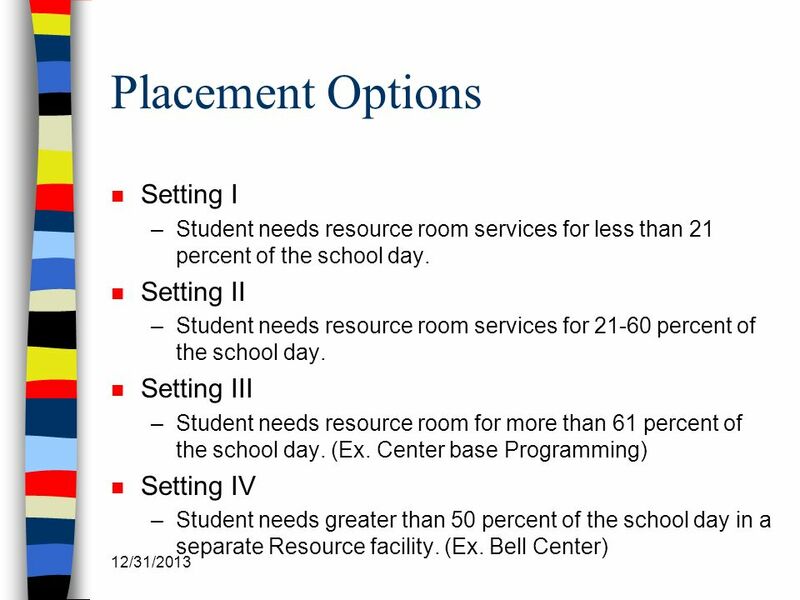 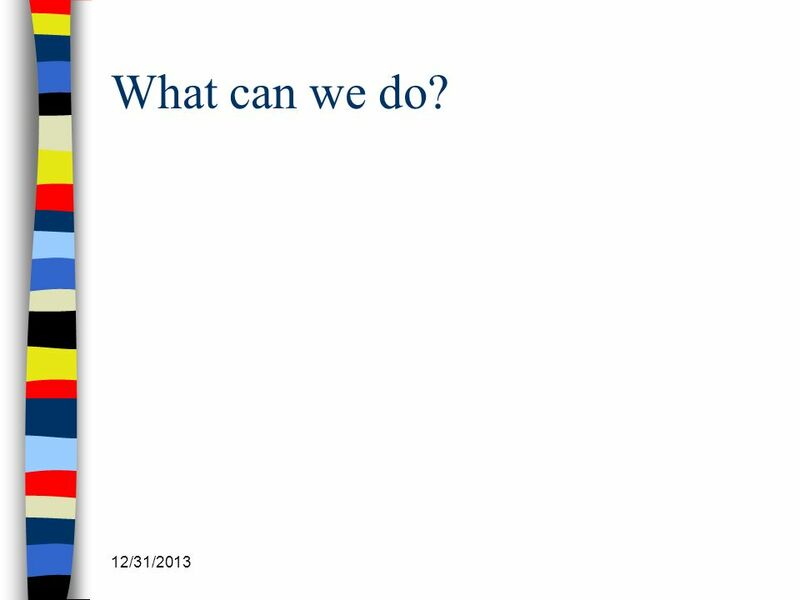 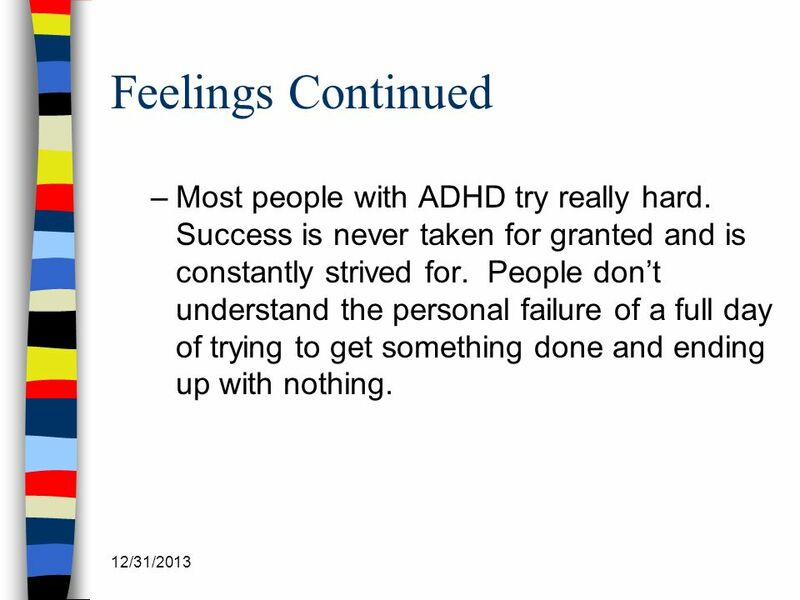 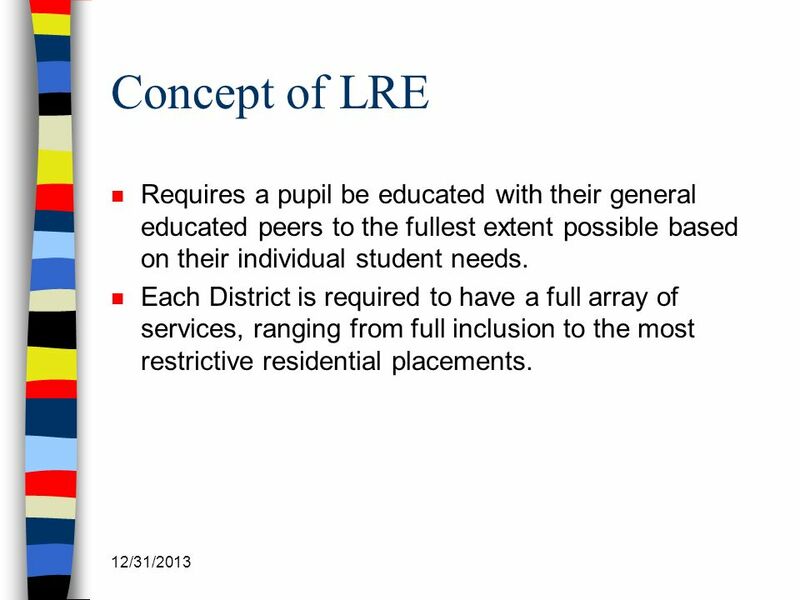 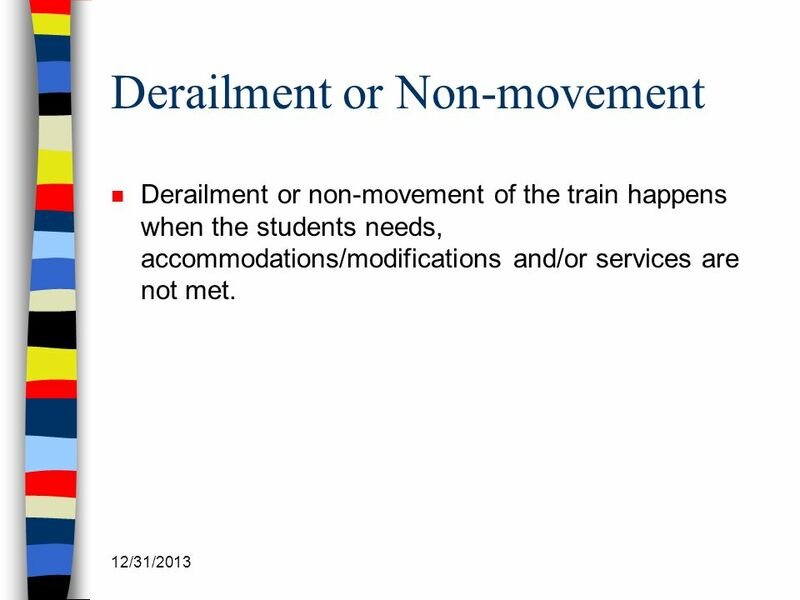 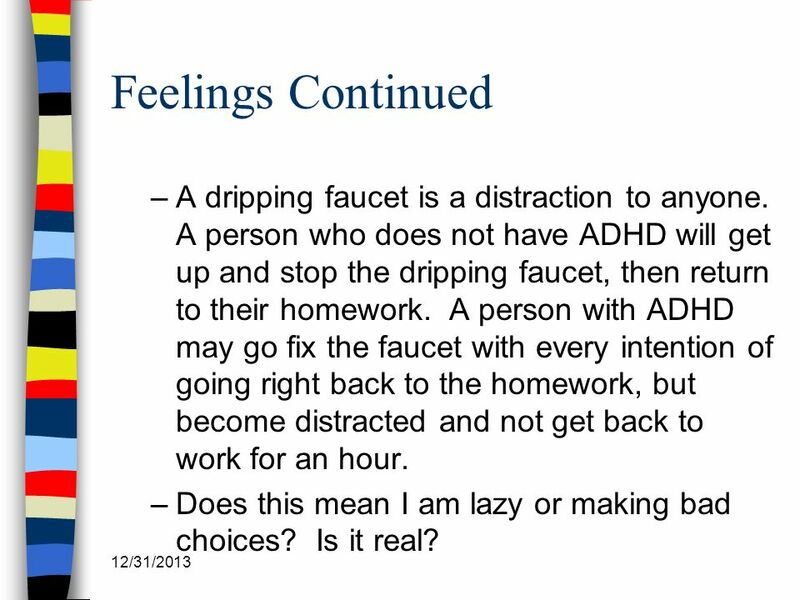 IEP Slide #1 I.E.P. 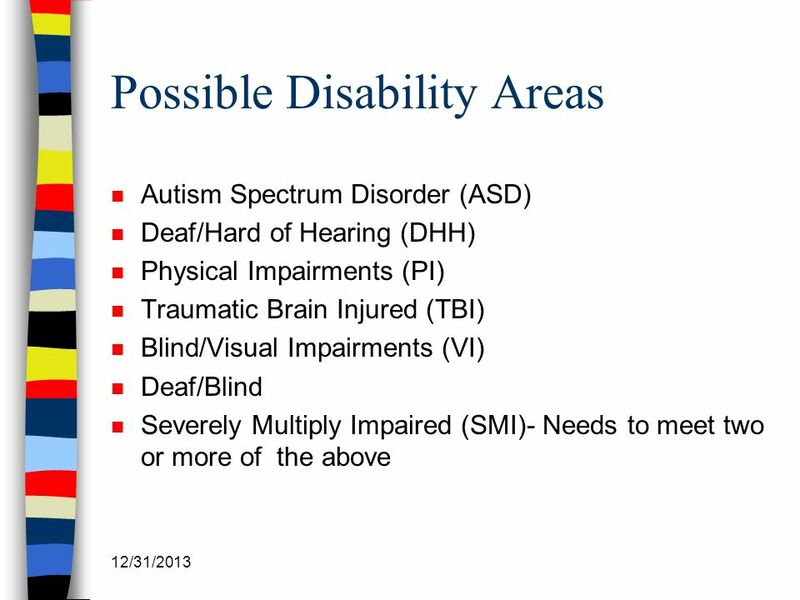 Your host today: DIANE JOSLIN hi. 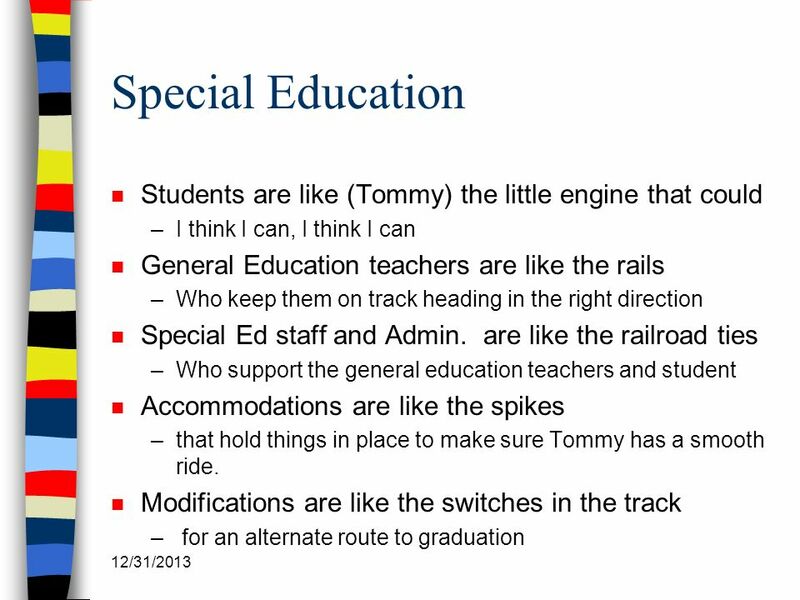 LEARNING MORE ABOUT SPECIAL EDUCATION Weng Ventura designs. 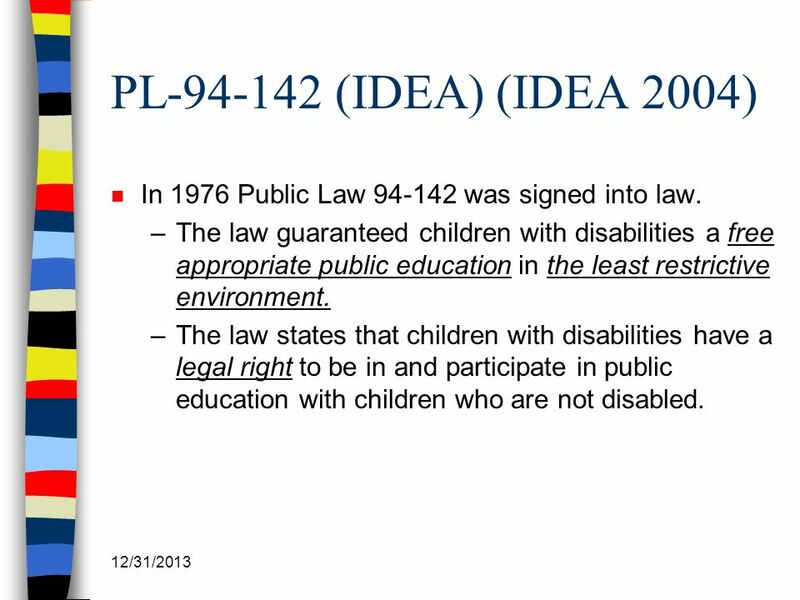 Duchenne Muscular Dystrophy IEP vs Section 504 is the part of the Rehabilitation Act of 1973 that applies to persons (including students) with. 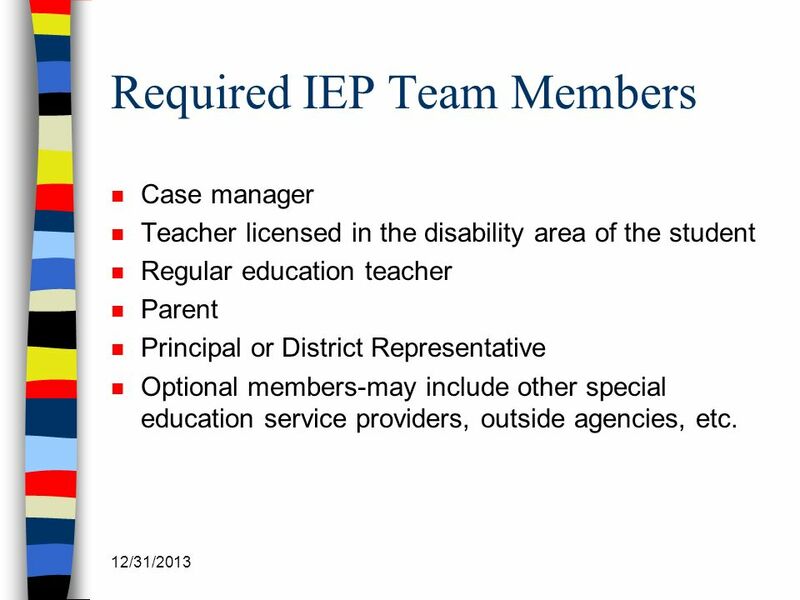 The Role of the Educator in the IEP Process. 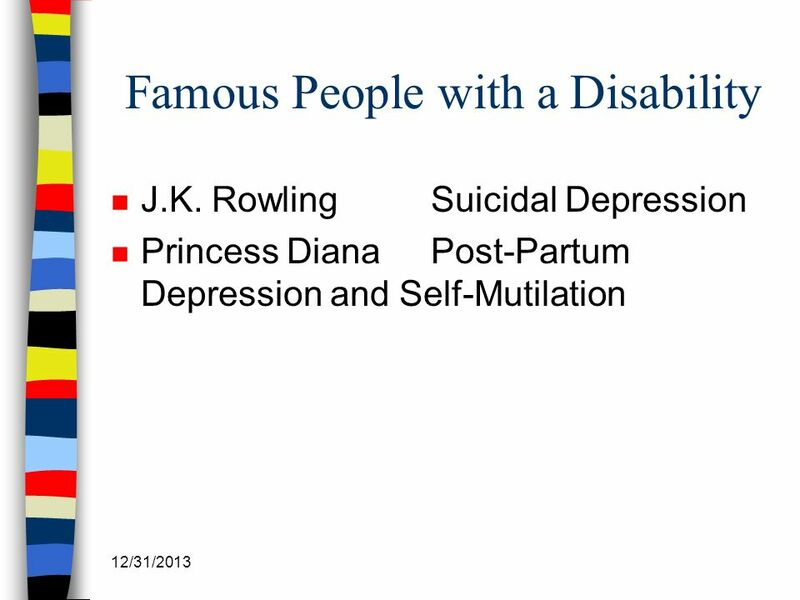 A Little History… The 70’s 1. 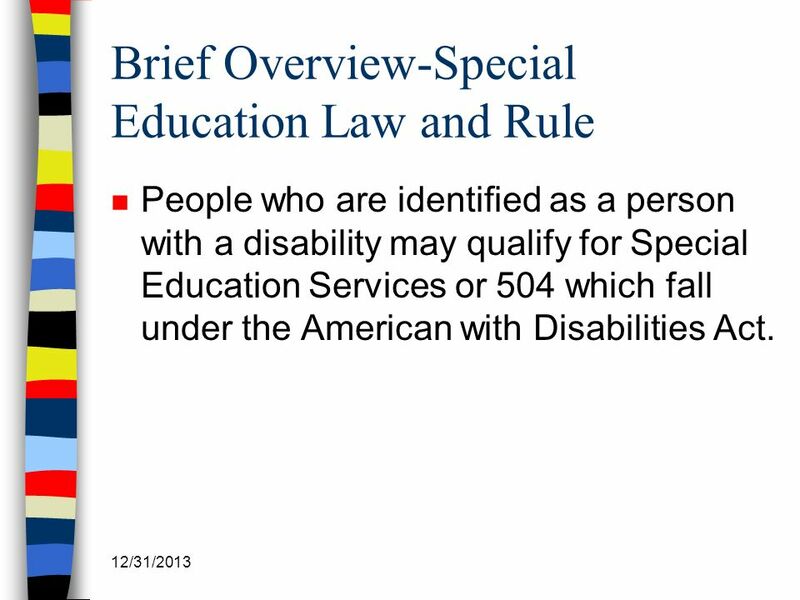 Public Law : Section 504 of the Rehabilitation Act of 1973. 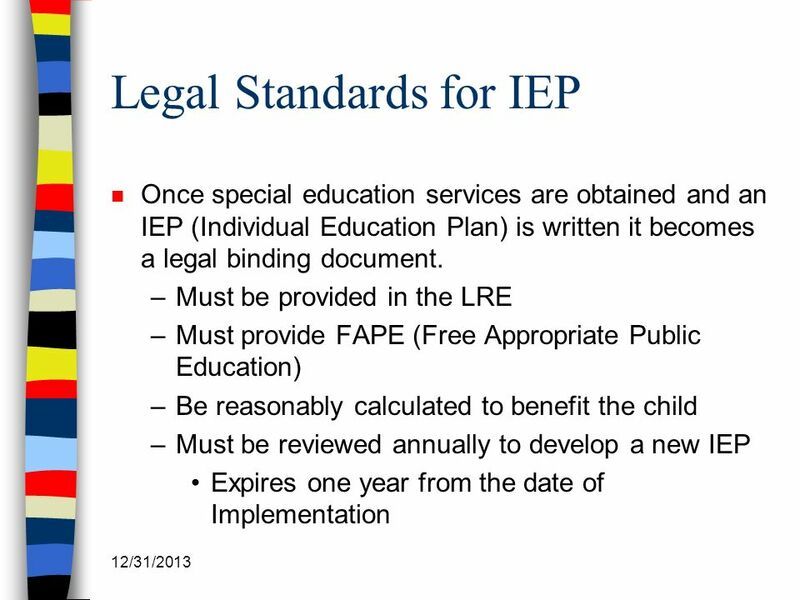 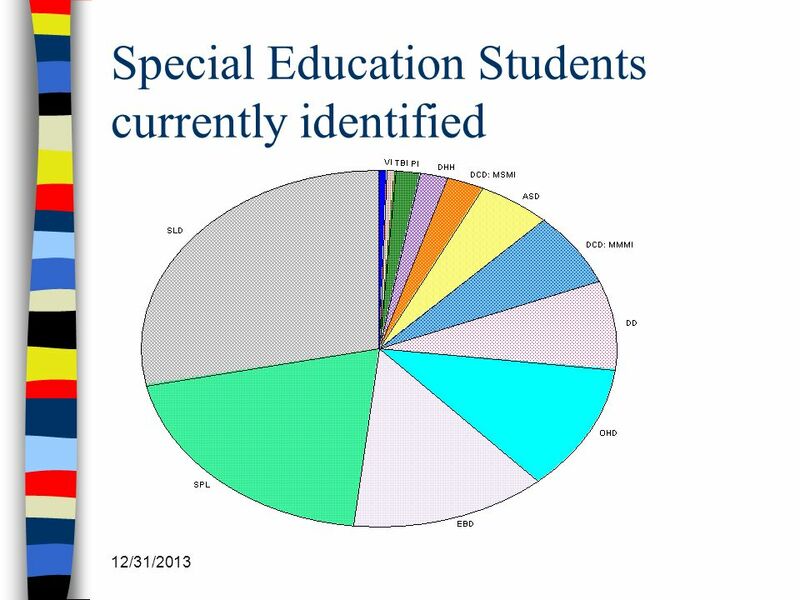 SPECIAL EDUCATION 101 What Do YOU Need to Know?